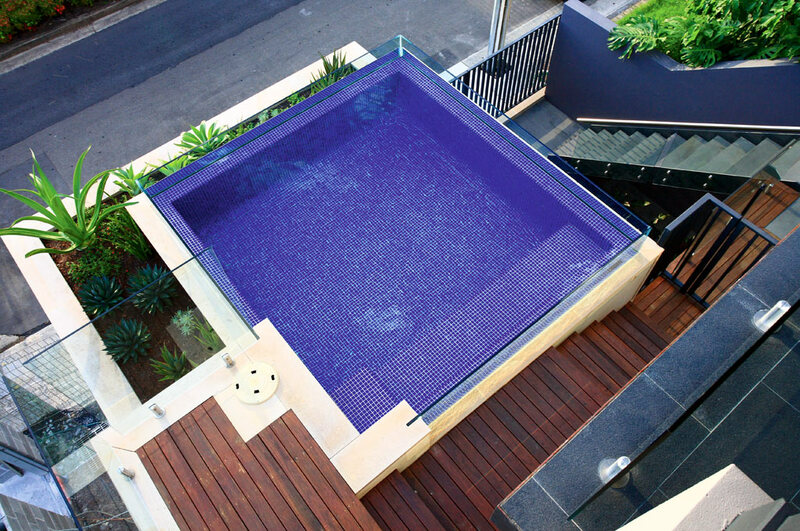 You don’t need a big yard to enjoy a top-class pool. 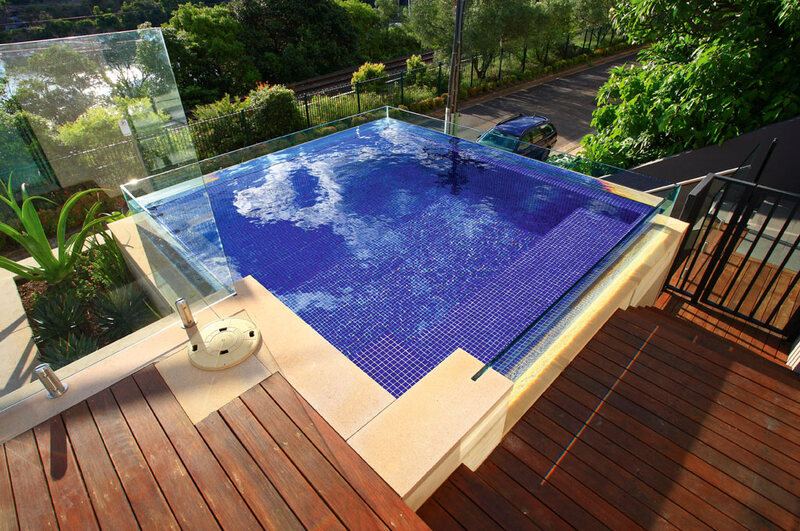 This fully tiled spa was installed on the roof of a garage and now provides a young family with endless fun and a relaxing place to cool off during the hot summer months. 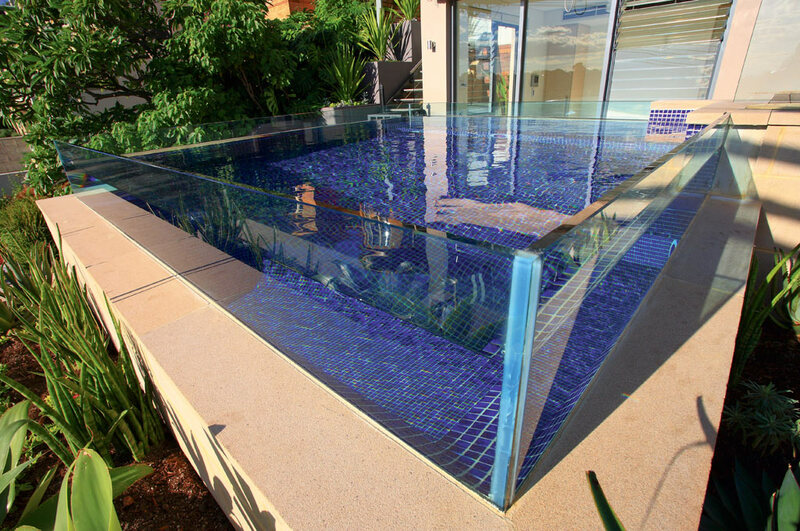 Just 1 metre deep, this innovative, fully tiled spa features three glass sides creating a magical fish-tank look. 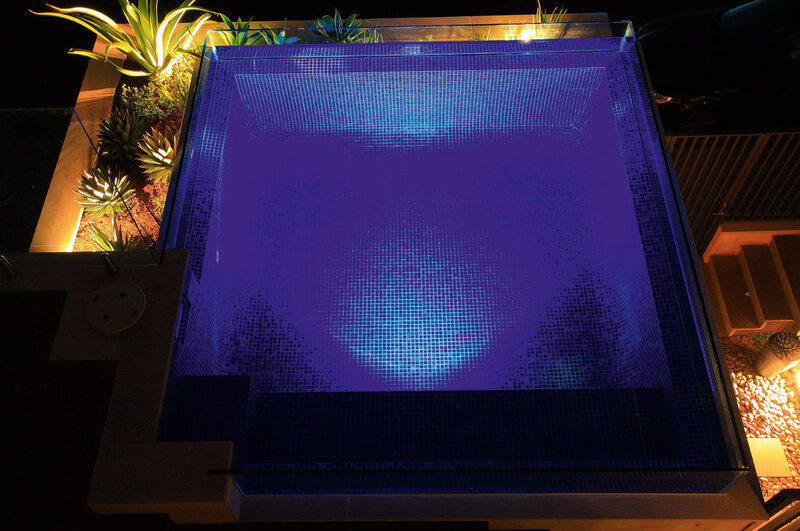 Himalayan sandstone surroundings, blue glass mosaic tiles and LED lighting enhance the beauty of the finished pool and create a spectacular home feature that shines during the day and night. 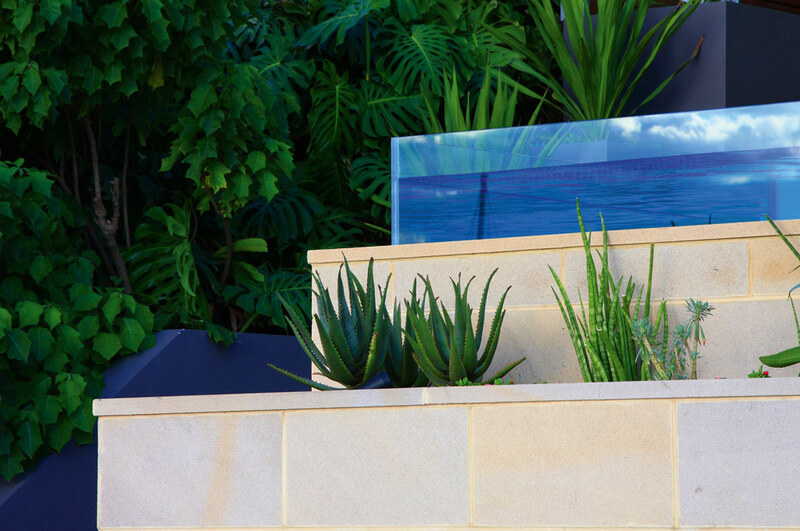 Hardwood decking and sympathetic landscaping with chlorine-resilient cactus plants add the finishing touches to this highlight of a brand new home. 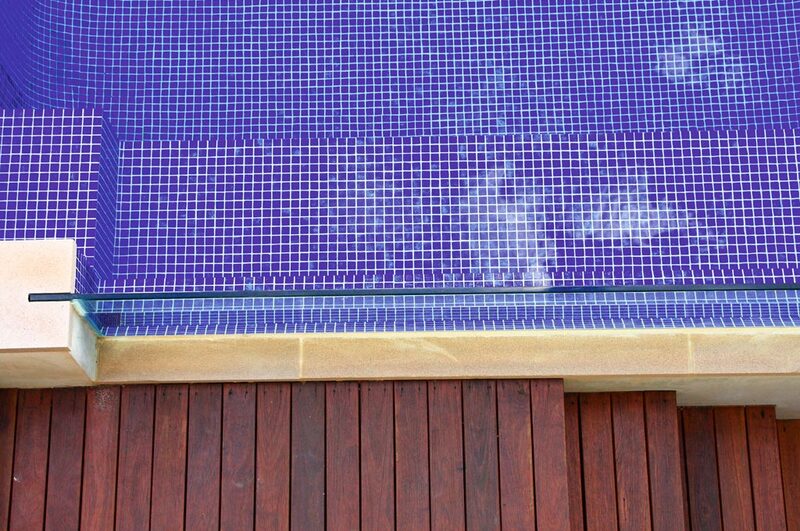 Managing tight city streets and council regulations, re-engineering the roof, and keeping neighbourhood disruptions to a minimum were also all part of the job.